Create. Inspire. Love. These three words are the foundation of Huckleberry Hearts, a one-stop shop for beautiful, one-of-a-kind artwork, custom fonts and branding. While Huckleberry Hearts began officially as an online art business in 2014, the inspiration and vision began long before that. Like most creatives, designer and founder Shanna, was born with a love for all things artistic flowing through her veins. As a child, she played around with designing her own custom paper dolls, before graduating to making unique Christmas wrapping paper with her box of crayons. 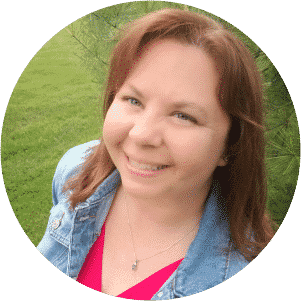 Today, Shanna creates custom digital artwork and deluxe hand-lettered fonts for businesses who desire their own unique touch to help them stand out in their industry. Huckleberry Hearts isn’t about art for art’s sake. It isn’t indulgent, fussy or self-involved art, it’s about creating designs that are workable, practical, and most of all beautiful. Huckleberry Hearts draws upon a range of technical expertise such as a strong background in graphic art and website design, as well as the critical, whimsical vision and energy that is required for any successful creative enterprise. This online shop was started as a passion project— a way to channel a love of art and creativity into something beneficial for the use of fellow makers. And Huckleberry Hearts has done that successfully. As we all know, we are first drawn in by what we see, so Huckleberry Hearts focuses first and foremost on beautiful artwork.